Be aware, Lisa is part of a direct sales company called Isagenix, using a MLM model of selling. Do your research before getting involved, direct sales is not for every nurse but it’s an option to explore. Hello..My Name is Lisa and I am a RN. Let me share my story with you first before I get into the perfection of this solution based process. In 2006 I was working full time in home health and raising 3 kids and 6 pets as a single parent. I was Stressed out, always tired, brain fog , a little overweight and did not like my profession. I was burnt out and at a crossroad. My Chiropractor introduced me to the concept of Nutritional Cleansing. I did what she recommended and within the first 11 days I released 9 lbs and 11.5 inches, No more belly fat but ab definition. I felt” normal”, clear, balanced, stress free. and had amazing energy! I felt so aligned, spiritually, emotionally and physically. For the past 7 years now, I have been using these products and share my story with others to assist them in their needs. I have transitioned out of the nursing profession, now doing this as a full time career and have created a multiple 6 figure income from the comfort of my home, creating the time freedom to be with my 3 kids and designing the life I choose. I coach people to their greater health, prosperity and abundance. As nurses we see so many disease states including obesity. They say this is the first generation where we will be out living our children. Why do we get sick, stressed, depressed become overweight, addicted etc? 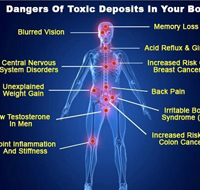 Toxicity and Mineral deficiency… Linus Pauling , a Noble prize winner, stated ” You can trace every sickness, every disease and every ailment to a mineral deficiency”. Is there really a Prozac deficiency or a Mineral deficiency ? The air we breathe, water we drink, food we eat all contain pesticides, herbicides, fungicides, hormones, chemicals, GMOs, and the list goes on. Our liver gets so bombarded we cannot cleanse out cells effectively. Nutritional Cleansing increases the health benefits you’ll receive from the ancient health practice of cleansing. The herbs, vitamins and minerals that aid cleansing do two things: Accelerate the removal of impurities from the body and nourish the body with vital nutrients to rapidly revive health. A cleansed and revitalized body is stronger, resists illness better, is more efficient and performs at a higher level than one that is filled with impurities. Many people notice an ability to reach and maintain their ideal weight. Nutritional Cleansing is the missing link to the health and weight loss mystery. Through Nutritional Cleansing, Cellular Replenishing and Healthy Aging we have solutions that transform lives – Weight loss, Energy and Performance, Youthful Aging and Wealth Creation. As a nurse I love to help people. I still make a difference in peoples lives and have found a way that truly works for transforming their health. I have successfully coached hundreds of people through this process and as a byproduct, I am creating tremendous wealth for me and my family. I love it! My Residual Income is growing and I feel so blessed to have the time freedom to be my own boss and always be available for my family. If you would like to learn more, I invite you to join me. Through Nutritional Cleansing, Cellular Replenishing and Healthy Aging –we have solutions that transform lives. We help with Weight loss, Energy and Performance, Youthful Aging and Wealth Creation. My company has won awards, been written up in magazines such as Popular Science, Forbes, Inc, Oxygen, Elle and we are endorsed my Doctors, Scientists who are conducting University studies, top selling authors and pro athletes. We do not diagnose, prevent or cure disease, but what we can do is give you the right blend of minerals and essential building blocks so the body can do what it is supposed to do – Cleanse itself and function properly. I invite you to join me here Purify Your Life or email me for more information – Lisa@purifyyourlife.com. Thanks Lisa for your post, just one more option for nurses looking for a career in direct sales, but first, Do your research! My disclosure here – I’m not a fan of direct sales as my business model so I do not endorse or promote this company in any way, just letting you see what options you have available. Connect with Lisa to find out more of what she could do for you.